If you refer to the c.1890s photo in the Photos section below you'll see that the building that stands here now is the same as that in what is believed to be the oldest photo there is of this area. 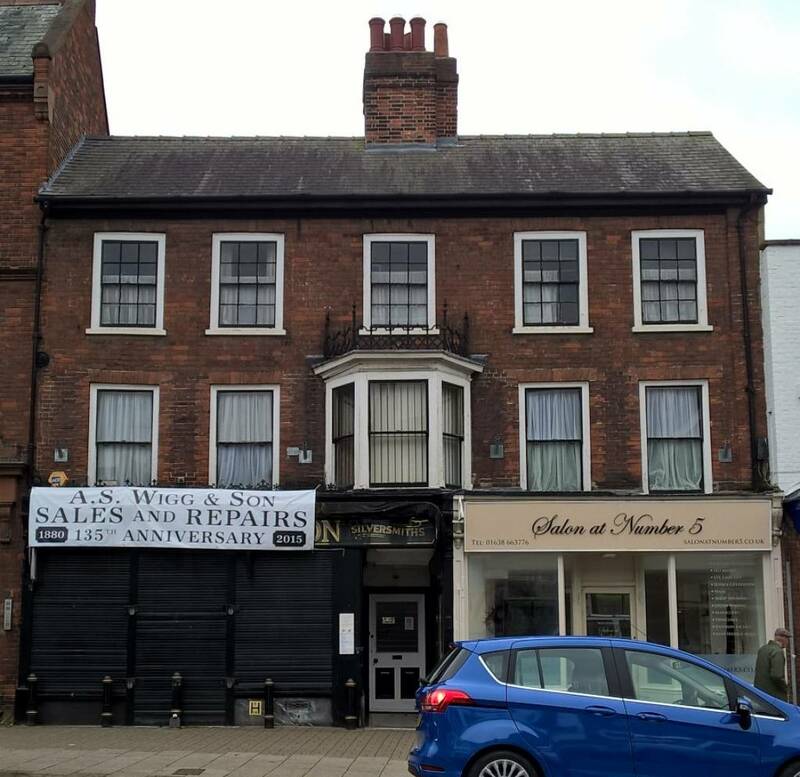 One obvious difference is that the present ground floor shop front, the one that most people so clearly recognise as A.S. Wigg & Son didn't exist at that time - the whole of the ground floor frontage was entirely different and the 1st floor bay window that's still present originally carried on down to pavement level. As numbered now No.43 is the shop A.S. Wigg & Son, No.45 is the upper storeys, known at one time as Fairfield House and No.47 is the shop on the right-hand-side - presently 'Salon at Number 5'. As the above photo states A.S. Wigg & Son started their jewellers business here in 1880, and that ties in neatly with contemporary trade and census records around that time. Arthur Samuel Wigg's jewellers was not the first business present at this location though and details below catalogue the known previous occupiers. 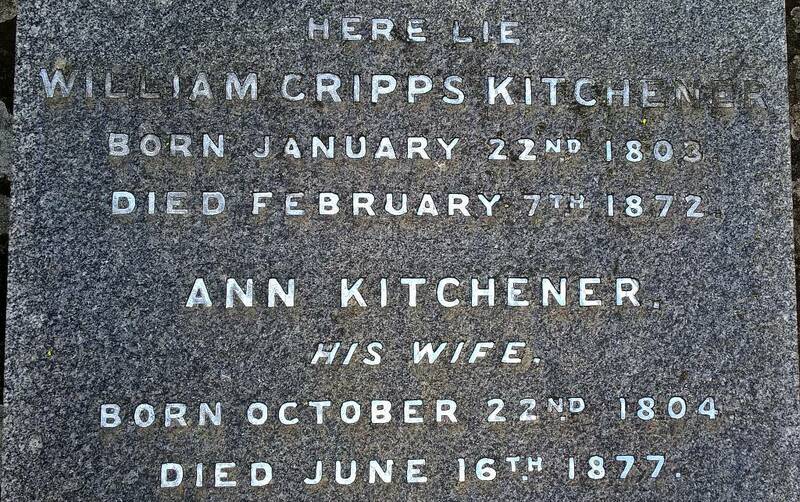 William Cripps Kitchener was born on 22nd January 1803, he was baptised at Saint Luke Old Street, Finsbury, London and was the son of William and Emma (neé Cripps) Kitchener . He was educated at King Edward VI Free Grammar School in Bury St Edmunds (around 1817 / 1818) and married Ann Orbell, daughter of John Orbell, of Kentford Hall, on 26 September 1825 @ St Mary's, Bury Saint Edmunds. 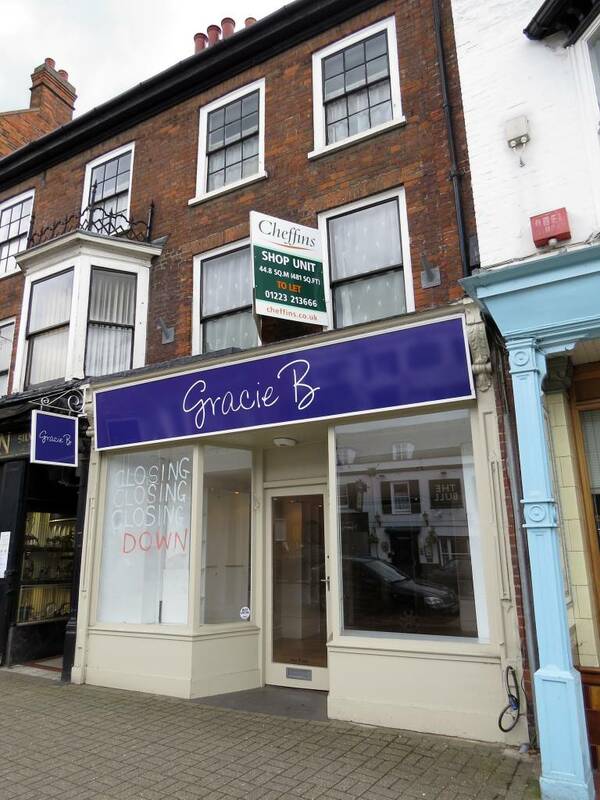 By 1835 they'd moved to Newmarket, where William set up his solicitor's practice here in the High Street. - i.e. 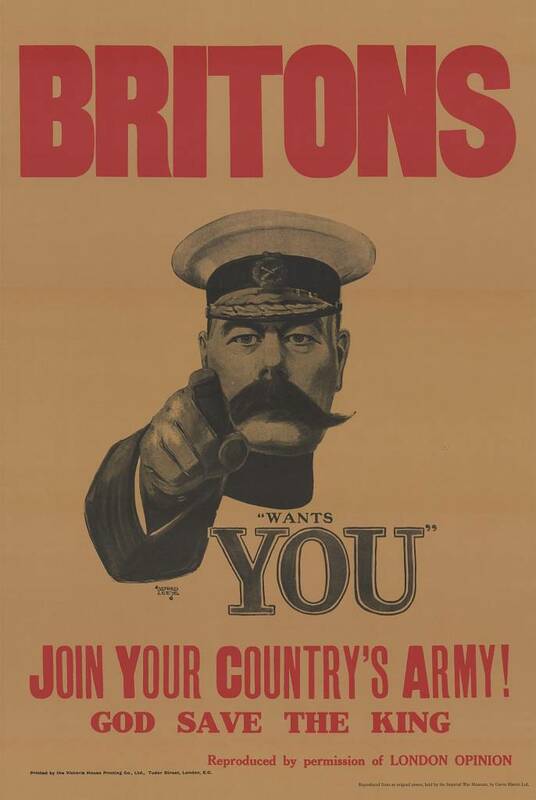 Lord Kitchener of WWI recruiting poster fame. The first recorded ancestor of the Kitchener family, Thomas, was born at Binsted near Alton, Hampshire in 1666. In 1693 he moved to Lakenheath to manage the manorial lands of Sir Nicholas Stuart of Hartley Mauditt. Eventually he bought a farm of his own and set up home here (now the site of Rookery Walk and Kitchener Close in Lakenheath). His grandson Thomas kept the Lakenheath land, but became a tea dealer at Bury St Edmunds. Born at Lakenheath in 1768 his eldest son William, later moved from Suffolk to London to become a prosperous tea merchant in the China trade. 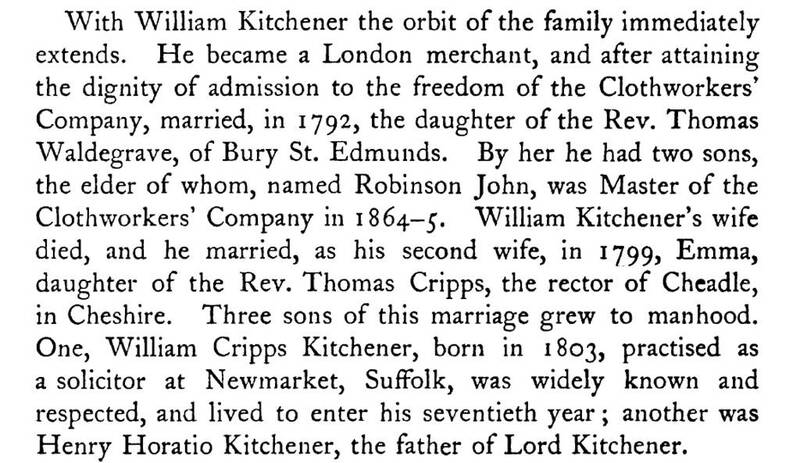 This is the father of our William Cripps Kitchener. 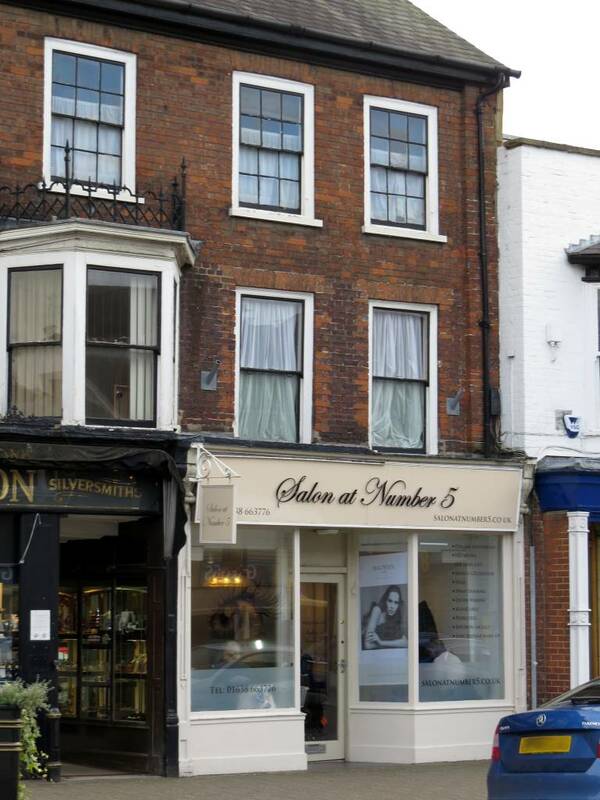 As shown on the page for No.164-166 High Street and also numerous contemporary newspaper articles, in around 1830 - 1835 William's business was known as 'Messrs. 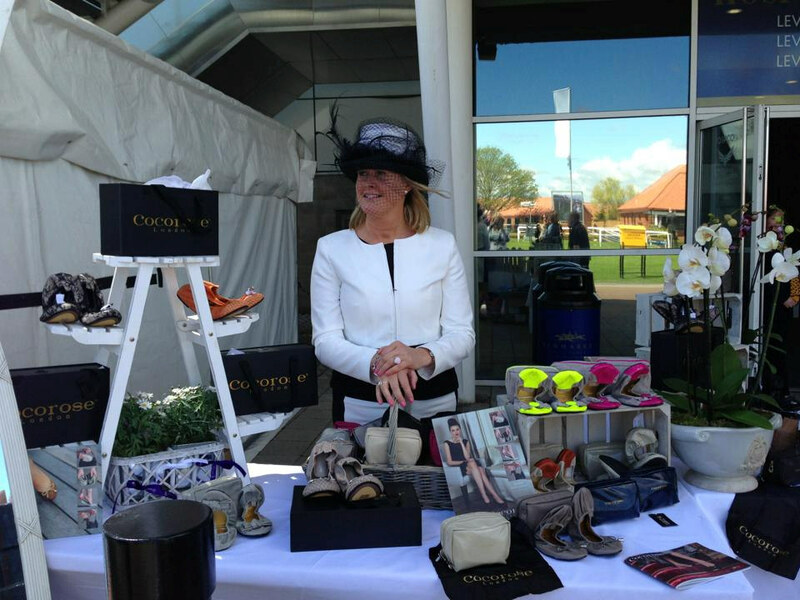 Weatherby & Kitchener Solicitors'. Two members of the practice were William and the auctioneer Ebenezer Feist. The Weatherby named as one of the main partners of the practice was presumably one of the members of the Weatherby family living further along the High Street in what became the Subscription Rooms - No.97-99 High Street - most probably Edward Weatherby, who died in 1845. The partnership of Weatherby & Kichener solicitors was formally dissolved on Tuesday 10th March 1835, and at that time William's business became just 'Mr. W. C. Kitchener, solicitors'. On 29th October 1838, William Cripps Kitchener was the solicitor overseeing the Moulton Inclosure, and on 3rd November 1840, he was overseeing the Cheveley Inclosure. The Inclosure Acts (Enclosure Acts in modern spelling) were a series of Acts of Parliament which enclosed open fields and common land in the country, creating legal property rights to land that was previously considered common. William's position was clearly becoming quite important in the legal environment of Newmarket and the surrounding area. 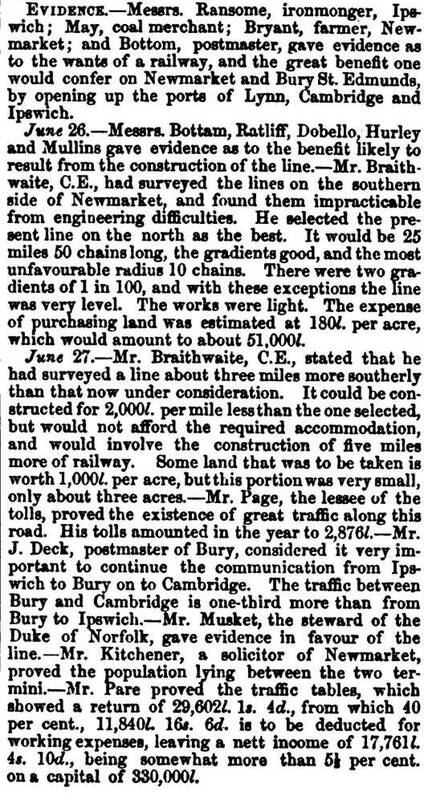 In 1845 William was one of those involved in putting forward the legal case for a new railway line between Cambridge and Bury St Edmunds, passing through Newmarket. Then even more curiously, in the 1871 census William is listed as visiting Mildenhall born work colleague Biggs Andrews, esq. of the Inner Temple, barrister at law at Heavitree, near Exeter in Devon. In the meantime his wife Ann and their son William Orbell Kitchener were back here again and shown on that same census at No.43 High Street. As announced in "The Solicitors' Journal and Reporter, Volume 4" (page 50), in November 1859 Robert Fenn passed his Solicitors' Examination whilst working for William Cripps Kitchener. It's no surprise then that in 1861, when the Kitcheners were living in Station Road, that Robert Fenn was living here at No.43 High Street. On the 1st, at Newmarket, greatly lamented and respected, aged 42, Rachel, the beloved wife of Mr. Robert Fenn, solicitor, and elder daughter of the late Mr. John Clarke, of Bungay. From about February 1860 onwards the business became know as 'Messrs. Kitchener and Fenn, solicitors' and as detailed in a London Gazette article of 26th July 1867 (page 4218), the solicitors working in this practice at that time consisted of William Cripps Kitchener, his son William Orbell Kitchener and Robert Fenn. William died in Newmarket on 7th February 1872. 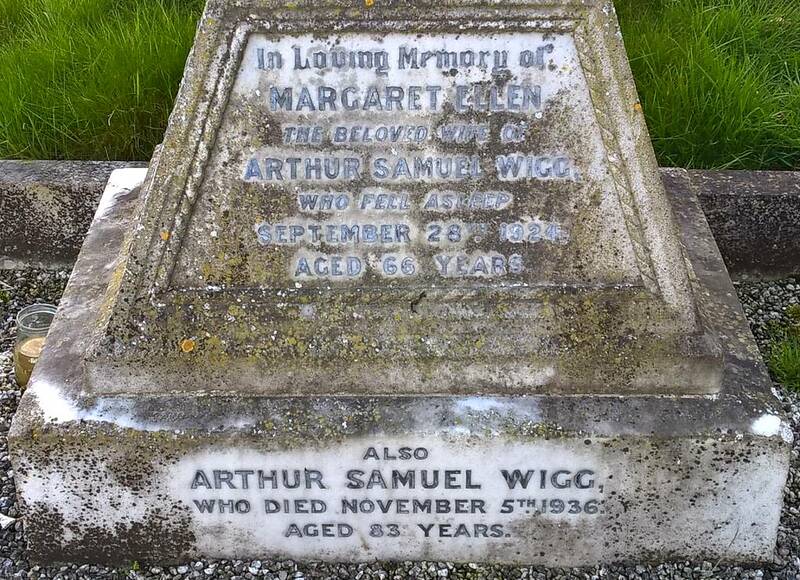 William's wife Ann died five years later on 16th June 1877. 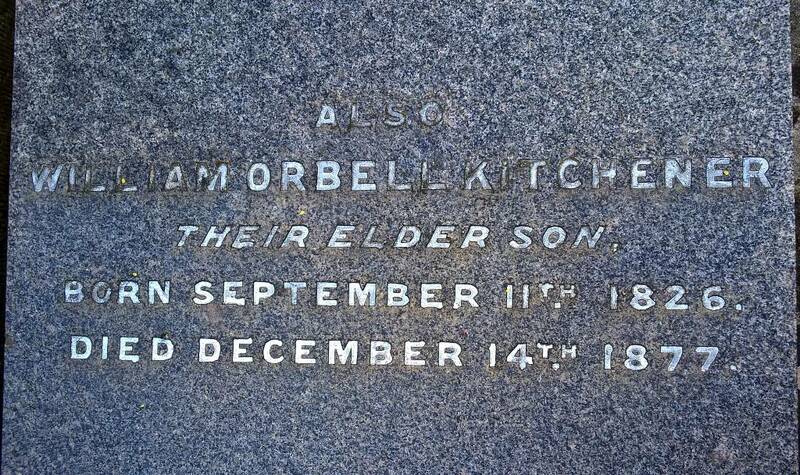 Their son William Orbell Kitchener died soon after on 14th December 1877 - all three are buried in Newmarket cemetery. Robert Fenn continued with the practice here, though by 1874 he'd moved to live in Kingston House - No.85 High Street. 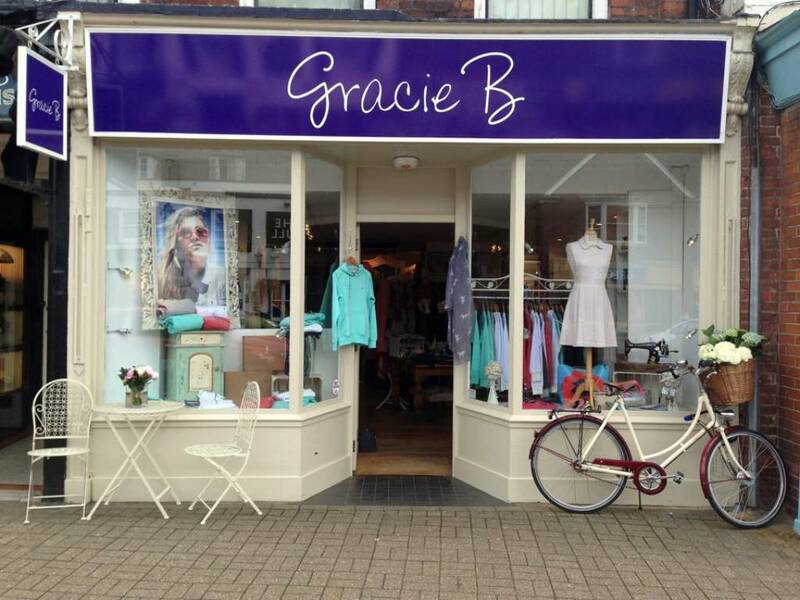 Records still show the practice in Newmarket High Street on 9th September 1879, but by 1880 No.43 High Street was under new occupation. Robert continued as a solicitor in Newmarket, still living at Kingston House, where his second wife Lavinia Bowton Fenn died on 28th October 1887. On 8th December 1888 he re-married for a third time to Mary Bagshaw (neé Mellor) at Nottingham, where they subsequently moved to live at nearby Carrington. Robert died on 20th June 1901 at Clifton House, Beeston, Nottinghamshire. During his time in Newmarket Robert played one of the most important roles in the evolution of the history of the town: On Thursday 21st July 1881, the entire extent of the Exning House Estate, which had originally belonged to John Dobede Esq., was put up for Auction by Henry Stanley and Co. at the Mart, Tokenhouse yard, London. This estate included a variety of plots of land, that in total comprised 2,867acres (or 2,863acres depending on which newspaper report you read), stretching from Exning right up to the west end of Newmarket High Street adjoining the Cambridge Heath. Robert was the solicitor representing the Jockey Club at that time and he bought Lot 1 for £165,000 (The main portion of the Estate with The Mansion and 2,400 acres of 'very fine land') and Lot 3 for £25,000 (An important tract of Building and Accommodation Land adjoining the Heath at the west end of Newmarket, approx. 138 acres). The important fact here is that Lots 1 and 3 adjoin the racecourse, and the Jockey Club's reason for this purchase - 'to prevent the building of houses overlooking the course'. SALE OF THE EXNING HOUSE ESTATE. 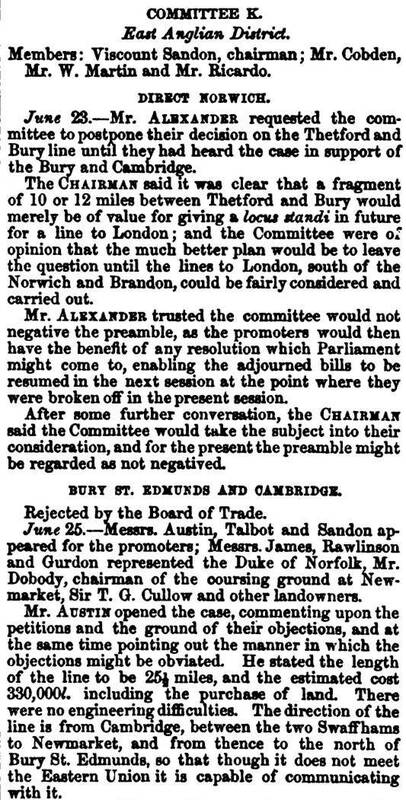 An important sale of laud in the Eastern Comities took place at the Auction Mart, London, on Thursday, when Messrs. Henry Stanley and Co., Bury St. Edmund's, and 83 Lombard-street, London, E.C., brought the above property, situated near Newmarket, to the hammer, with satisfactory result. The estate consists of the mansion, with 2,867 acres of land, divided into farms, &c, producing (with the estimated annual value of the mansion and grounds), £6,610 per annum, principally in the parish of Exning, Suffolk, with small portion in the parish of Burwell, Cambridgeshire. It lies immediately around the town of Newmarket on two sides, and was the property of Mr. Henry Dobede. The first lot was the main portion of the Exning Estate, with the mansion and grounds, several farms, accommodation land, and cottages, all 2,400 acres, of the estimated present annual value of £5,511. Mr. Stanley said that the purchaser of this lot would be offered Lot 3 the reserved price, comprising 138 acres 1 rood poles, adjoining lot 1, and abutting on the racecourse, let at the apportioned rental £400 per annum. The bidding for lot one started at £100,000 and quickly rose to £160,000. Mr. Fenn, solicitor, of Newmarket, bid another £5,000, and there being no advance it was knocked down at £165,000. Mr. Stanley then passed to Mr. Fenn an envelope containing the reserve price of lot three. Mr. Fenn was some time before he decided to give the price required, and stated that he was there for the Jockey Club, for whom ho had bought lot one, and that if lot three was sold in sections as proposed in the particulars, the Jockey Club would refuse licences to the purchasers for training establishments. After some further discussion Mr. Fenn finally consented to take the lot, the price of which we understand was £25,000. The Jockey Club have thus become the purchasers of this splendid estate of 2,538 acres at the sum of £190,000, equal to about £75 per acre. We believe it is the intention of the Jockey Club to make the mansion a club house. Lot 2, known as Ratliff's farm, was withdrawn at £23,000. Lot 4, Little Portland Farm, comprising a farmhouse, buildings, and 53 acres, was sold for £2,850 to Mr. J. N. York, solicitor, Newmarket. Lots 5 and 6, allotments of land containing respectively 45 acres and 17 acres, were not sold. Lot 7, Manor House at Exning and about four acres, was knocked down to Mr. Heifer, at £1,000, for Mr. Henry Luke, jockey, Newmarket. Lot 8, a public-house, known as the Wheatsheaf, was sold to the tenant, Mrs. Maria Heffer, at £1,000. Lot 9, block of premises in Newmarket, was not sold. The total amount realised was £194,850. 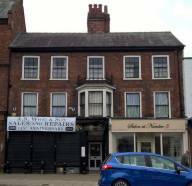 Further details about this sale, particularly Lot 2; Mr. Ratliff's farm, can be found on the page for No.156-160 High Street - Ratcliffe House. The son of watchmaker William and milliner	Caroline Harriet (neé Smith) Wigg, Arthur Samuel Wigg was born on 21st January 1853 in Halesworth, Suffolk. NOTICE! NOTICE! WILLIAM WIGG, Watch and Clock Maker, SILVERSMITH & JEWELLER, Thouroughfare, Halesworth. RESPECTFULLY informs the Inhabitants of Halesworth, and its vicinity that he has removed from his late residence to the Shop and Premises opposite Mr. Reynolds' Chemist, and adjoining Mr. John Foreman's, Grocer, and earnestly solicits a continuance of their kind patronage and support. Clocks, Watches, Silver Goods and Jewellery in the greatest variety. By the 1871 census Arthur was also a watchmaker, working for his father at Halesworth. Interestingly Arthur was baptised on 7th April 1876 at St Martin's in Worcester, which is where he married Margaret Ellen Beck on 20th August 1881. Margaret was born in Worcester. 2Oth ult., at Worcester, Arthur Samuel Wigg, of Newmarket, to Margaret Ellen, only daughter of Charles Beck, of Worcester. There's no mention of Wiggs in the 1879 Post Office Directory, but by the 1881 census Arthur was living in Newmarket High Street with his sister Laura Louisa Wigg - this clearly matches very well with the jewellers' own details that the business started in 1880. From later details it's known that Sherborn had his studio at No.35. So it would appear that this was also the original location of the jewellers and that it was only later that they moved a few doors along to re-open here. Arthur and his ever growing family are shown here at No.43-45 High Street on the 1891, 1901, and 1911 censuses. Arthur's son Sidney Harold Wigg was born here in early 1889. Sadly he was killed in action on Sunday 13th October 1918 during WWI. Later Arthur Samuel Wigg moved to his new house in Fordham Road, which he called Fairfield (presumably after the name of the shop). He died on 5th November 1936 aged 83. His estate was proved by his son Arthur Cecil Wigg and schoolmaster Bertram Everitt Mitchell. Arthur Samuel and his wife Margaret Ellen are buried together in Newmarket cemetery. Arthur Cecil Wigg had been born at No.43 High Street on 13th March 1886 and later followed in his father's footsteps as a jeweller. After his father's death in 1936 he took over the family business, which then became the now very familiar A.S. Wigg & Son. He died in Newmarket on 29th November 1970, aged 84. Born in 1943 Arthur Cecil's son Michael Sydney Wigg is presently the owner of Wigg's jewellers. 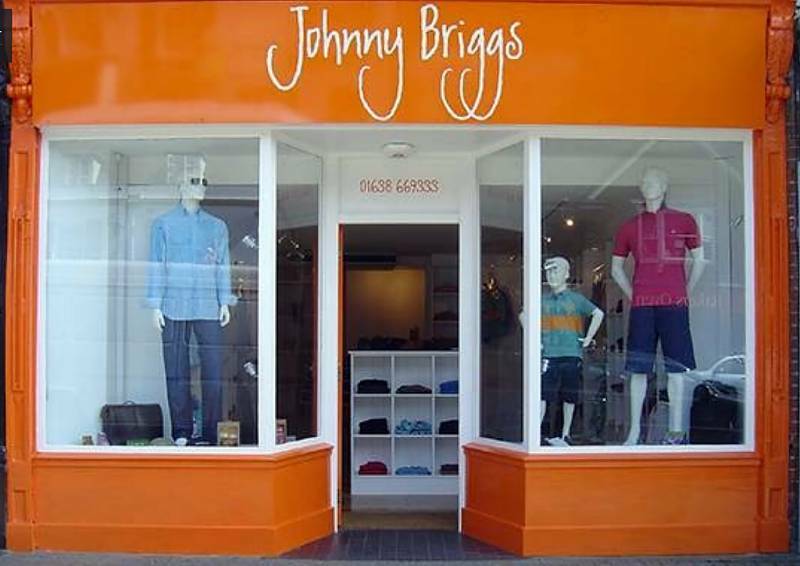 The business was Incorporated on	11th December 1979. At one time Michael's daughter Paula had a 'Home Speciality Store / China Glass and Crystalware Shop' in No.47 High Street. Oswald Poole was born in 1848 in Acton, Suffolk (near Sudbury). He married Frances Pask on 31st October 1872 at St Mary's, Newmarket. 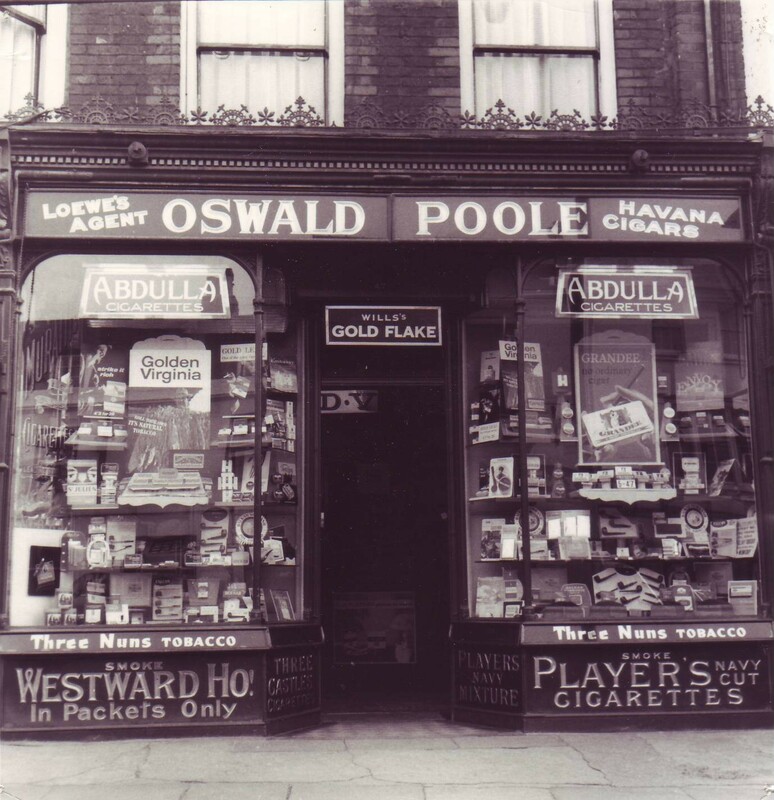 In 1901 Oswald was landlord at the Bull public house - No.62 high Street, but clearly in the c.1900s photo below he had his tobacconist shop here at No.47 High Street. Details for next door No.39-41 High Street seem to indicate that this photo was actually taken some time around 1907. Originally in 1891 Oswald was living at No.1 Wellington Lane (now Wellington Street) (this was adjacent to Harwood Cottage, which was at the corner of Wellington Street and the New Cut). The address is now Harwood Villa. At that time though he did have his tobacconist shop here in the High Street, as shown on both the 1888 and 1892 Kelly's Directories. Previously in the 1881 census Oswald was living in Market Street and was shown as a carpenter, although in 1879 he was listed at that location as a tobaconnist in the Post Office Directory, and then also the same in Kelly's 1883 Directory. So clearly he was plying his skills in a variety of trades. Before coming to Newmarket, in 1871 he was still living with his family in Acton (working as a carpenter). It doesn't appear that Oswald ever lived at No.47 High Street; as by 1911 he'd moved out of Newmarket and was living at Kentford, still listed as a tobacconists. So presumably it was his lock-up shop shown here in the census. Oswald died on 3rd December 1924, at Clifton Lodge, Kentford (now Kentford Kennels & Kattery). The tobacconists here carried on in his name and is listed in the 1936 Street Directory and shown on the 1953 UDC re-numbering map. "Ah sweet memories, only they did not sell sweets then.. Always had on open flame by the counter so gentlemen could light their cigars etc. Craven A one of the few filter tips, men did not smoke such nancy stuff. 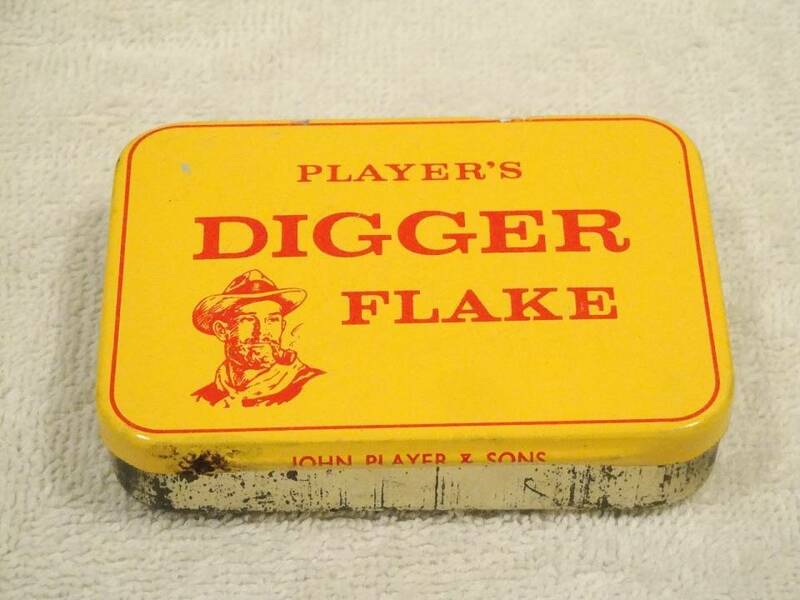 Abdullah stunk the place out and Digger Flake probably grew nicotine stalagmites in your lungs." This listing details that the front of the building was built in the early 1800s, but that the rear section is from the late 1600s. It states that the rear section is the remains of an earlier building on this site and that it is timber-framed and rendered with large chimneys of local gault brick. This therefore makes the rear of this building contemporary with the construction of King Charles II's Palace a few doors along the High Street, which was completed in 1671.